Greg (Zachary Gordon), the wimpy kid is back on the big screen taller and wiser but still has a lot to deal with to score points against his big brother Rodrick (Devon Bostick). 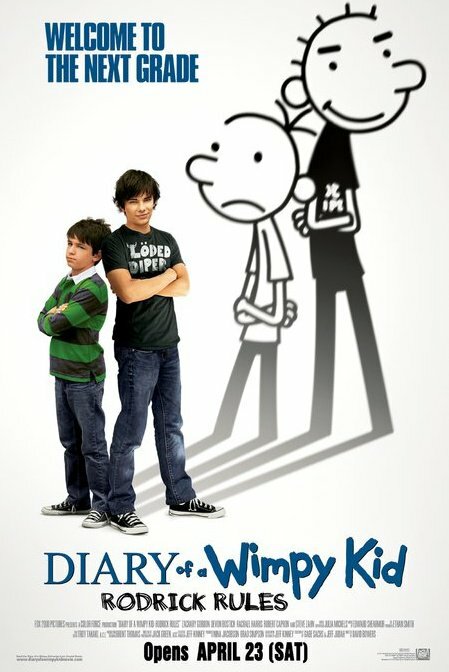 In the upcoming heartwarming family-oriented movie based on the best-selling book by Jeff Kinney of the same title “Diary of A Wimpy Kid: Rodrick Rules,” Greg deals with Rodrick’s attempts to ruin his whole summer. Much like his electrifying drumbeats, Rodrick fries Greg in a series of unprecedented pranks enough to make Greg’s whole summer an episode of fear and embarrassment. Devon Bostick, returning as eldest sibling Rodrick, was thrilled the character is front and center in this second Wimpy Kid story. 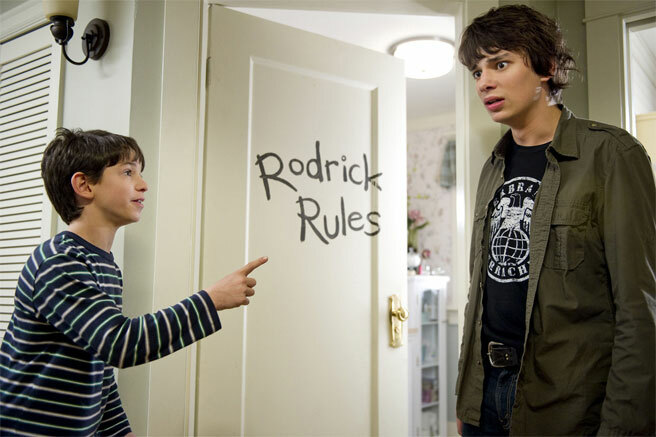 “The title is ‘Rodrick Rules,’ so that means, a lot more Rodrick this time,” says the young actor. Also In this movie, you get to see a brighter side of Rodrick, buta darker and goofier side. Rodrick’s Rules – the worldly advice he shares with his little brother – include such pearls of wisdom as: Don’t be good at anything you don’t want to do; always lower Mom and Dad’s expectations; and never do something when someone else can do it for you. Rodrick’s primary interest – apart from making life miserable for Greg – is the elder sibling’s band Löded Diper, in which he serves as drummer. The band members are neither polished nor innovative, but they are enthusiastic, and Rodrick is its heart and soul. He spends more time practicing his twirls and looking good as a drummer than he does on drumming. “Diary of A Wimpy Kid: Rodrick Rules” opens tomorrow, April 23 in Metro Manila and Cebu theaters from 20th Century Fox to be distributed by Warner Bros. Please insert Rodrick into my bed.